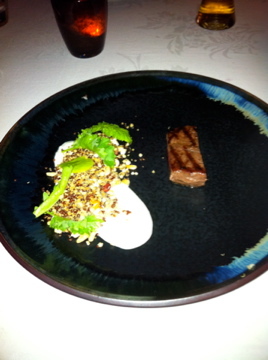 Degustation delight in Port Fairy | 15,000kms of Food! 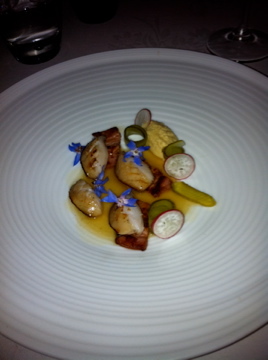 Drove 300kms to Port Fairy to dine at the divine Merrijig Inn, and it was totally worth it! 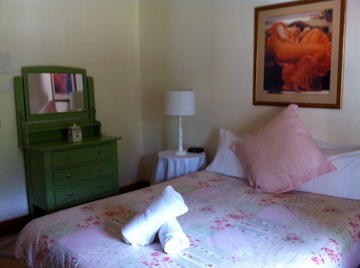 The accommodation was bare basics and sufficient, but the food is really what it’s all about! 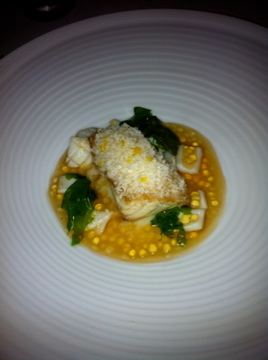 Naturally, we had to have the Chef’s Tasting Menu consisting of 9 courses with matching wines. 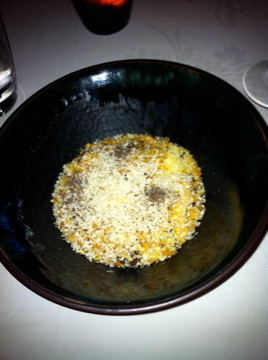 The first thing to grace our table was the delightful potato bread, along with creamy and salty butter. You know you’re in for a good thing when the bread that comes out is sensational. 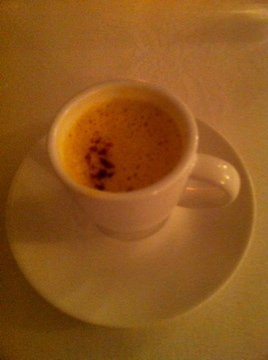 The surprise amuse bouche was a honey, carrot, and ginger soup, which was a nice tasty mouthful. 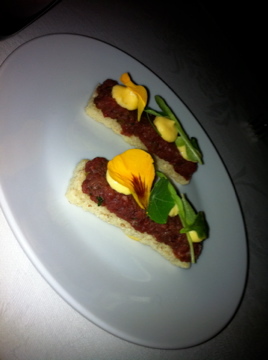 The other surprise was the beef tartare on toast – spectacular! 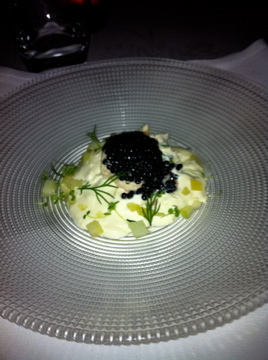 Course 1: smoked eel and trout, horseradish cream, . Drink 1: Champagne. Comments: “fabulous” “tasty” “good size”. 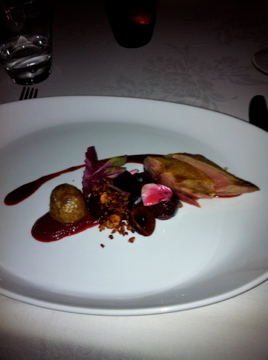 Course 5: Squab, baby beetroot, cherries. Drink: Pinot Noir. Comments: “Squabtastic. Too many beets.” – GW (he doesn’t like beets! ), “amazing. Loved the thigh meat. Great beets.” – me! Surprise pre-dessert desserts: Blue cheese, walnuts, and honey. Goats cheese ice cream with raspberry granita and mixed berries. In summary, the journey was well worth it. 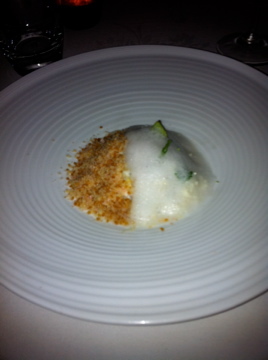 This was the best degustation I’d had in 2010. The courses was a cohesive journey, that kept reaching new heights. 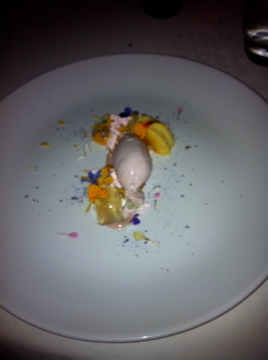 Whist the mains could have stopped at the blue eye, and the desserts should have kept to the flower, nectar and petals, I’d still give this a 9 out of 10.